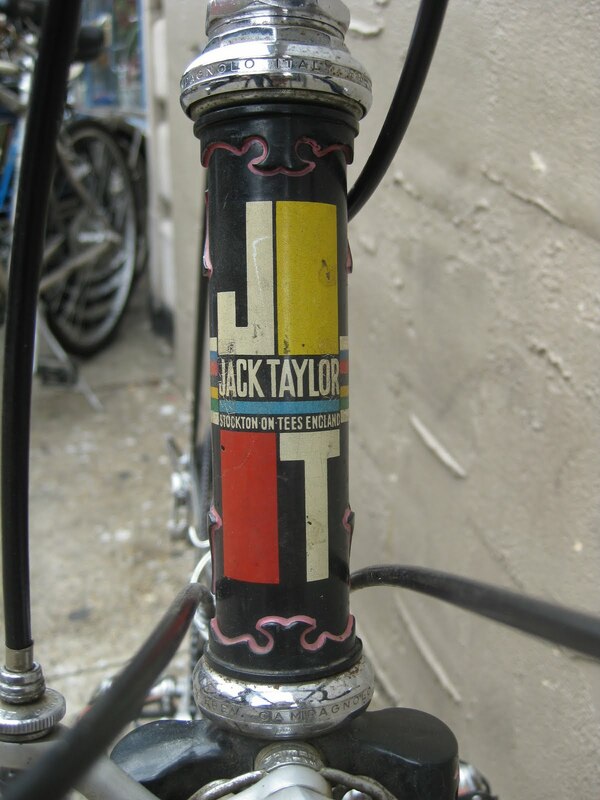 Here is a beautiful 1970s Jack Taylor owned by a customer of ours. 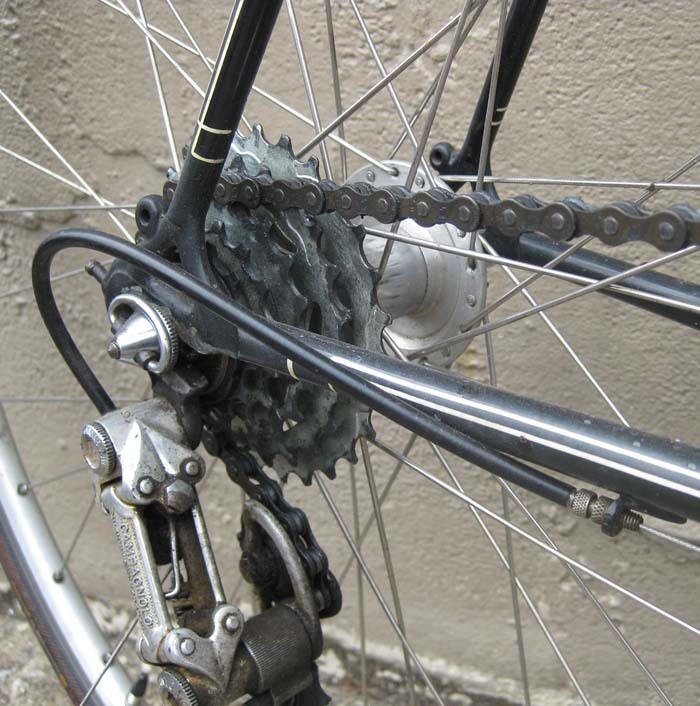 Outfitted with a Campagnolo Nuovo Record group and Phil Wood hubs, the bicycle is a perfect example of 1970s Jack Taylor’s Tour of Britian model. side note- shame the pump peg was removed, but that happens. 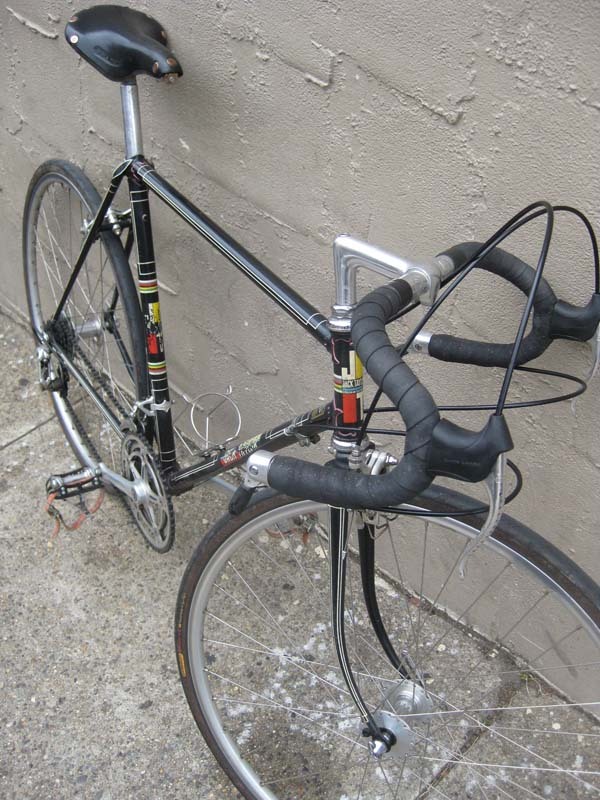 The Velo Orange water bottle cage looks period correct. is that pink lug lineing? Those crazy Brits !! 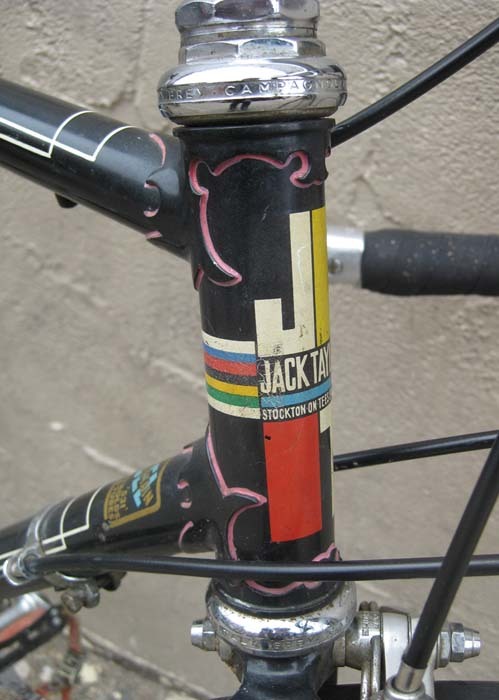 I almost think my black Jack Taylor has pink lug lining too. I will have to take a closer look again. 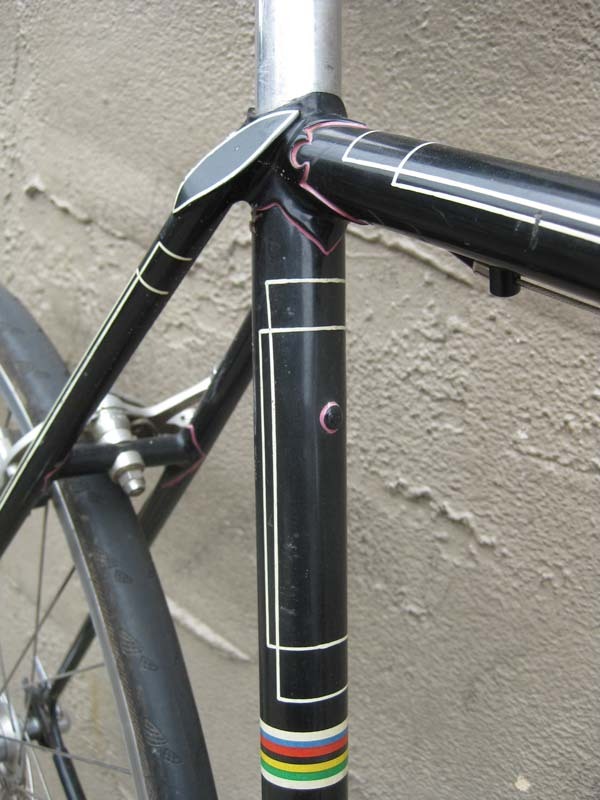 I've got pink lug lining on one of mine, Green with red head tube and seat pannel. 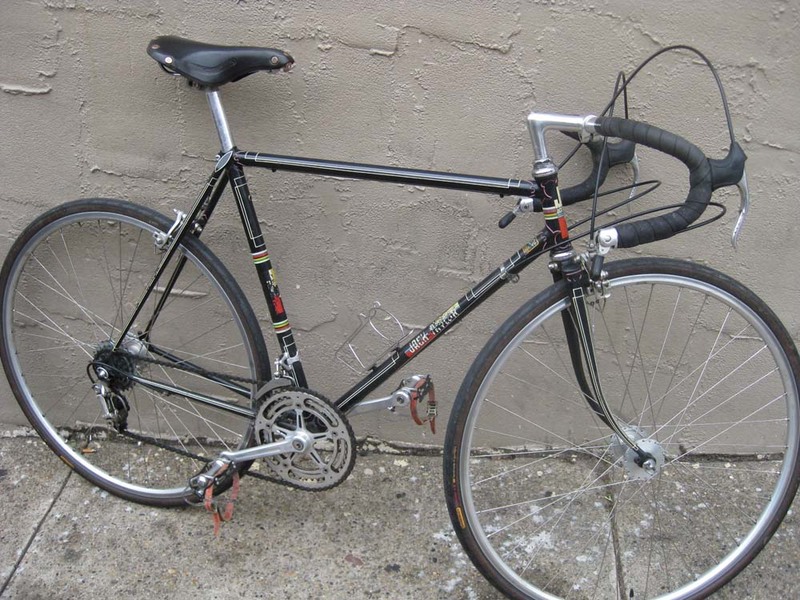 I think that perticular bike was on ebay a while back.? I assume the bike came from Ebay, I never asked the customer where he got it, too into the bike I guess. I didnt see it on Ebay??? maybe already over.